Nothing but the freshest new plastic on the market! Bookmark this page to keep up with the newest and hottest golf disc releases. Discraft has hit the ground running in 2019 with a HUGE addition to their team: the one and only Paul McBeth. The four-time World Champion kicks off the year with his own Signature Series line and a new prototype putter called the Luna in an experimental material that blends rubber with Discraft's Jawbreaker plastic, giving it maximum durability and great feel. In the McBeth Signature Series, you'll find the Z Zone, Ti Undertaker, ESP Buzzz and Z Force. This first batch of McBeth Discraft discs are all limited in availability (collector's take note...) In addition to the big news around Paul switching to Discraft, they've also launched a line of Star Wars-themed discs in a variety of designs, foils and plastics. Check them out here. Innova Champion Discs has some big news of their own for 2019, with Ricki Wysocki jumping ship and landing on their team. He'll be taking over the coveted signature spot on the popular Star Destroyer, with the new stock version featuring an XXL-sized, Les White graphic of a T-Rex incorporating Ricki's signature. In other Innova news, Greg Barsby—the 2018 World Champion—now has his name featured on the Innova Star Roadrunner. These are coming soon; once we get them in you'll find them here. Also, if you missed it, check out the new Bullfrog from Innova; a low-glide, low-profile straight-shooting putter that can tackle those tricky headwind putts. Now available in the tacky and grippy XT Pro plastic (first run proto version here). 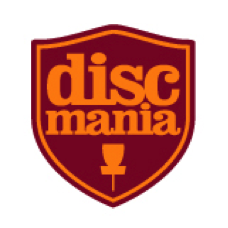 Our friends at Discmania are making BIG MOVES for 2019—literally. They have recently relocated their company operations to our humble corner of the disc world: Northern Colorado. To commemorate the move they've dropped a sweet new graphic, the CA2CO: currently available on the D-Line P3X, among others. And just in time for the holiday, grab a Mini Heart Luster FD! Lovers of the MD3 will be glad to know it is now available in the S-Line MD3. Westside Discs has been rolling out new models along with long-time favorites in the colorful new "Burst" Tournament Plastic. We were able to bring you the Special Edition Tournament Burst Anvil and War Horse before most other retailers (due to our participation in the BuyBack program), however these are both available now in a stock version. Check out the Anvil in Tournament Burst or VIP, and the War Horse in VIP. Other models recently released from Westside in the Tournament Burst plastic: Sword, Bard and Shield. Ten years of MVP has brought us the 10th Anniversary MVP Neutron Ion; celebrate the occasion with this special and highly-limited release version of their first disc. These have been extremely popular so grab one while they last! Also relatively recent, we have the Special Edition Proton Atom featuring custom artwork by John Dorn. And since it's still GLOW season, don't forget about Axiom's Halloween release: the Axiom Glow Proton Envy.